One of the important features of this website is the list of yahrzeits of past members, family, and friends. Each year after the High Holidays I update this list with the additions from the previous year. This year we added Jacob Radman, Sara Cooper Radman, and Harvey Srolovitz. The new yahrzeit list can be accessed from a menu at the top of our website home page. You will find a name list in alphabetical order and also links to photographs of all 314 yahrzeit plaques we have at the shul. May their memories be blessing for us all. Just a quick note for those of you who knew Abe Wilen of Monessen. Abe passed away a week ago in Florida. His son Ron lives in Bridgeville and had his father’s remains returned to Pittsburgh for burial. Abe was well known because he managed a department store in Monessen for 40 years. But he was much more than that, including his service as a WW2 bomber navigator under commander Jimmy Stewart. Click here to see the obit. 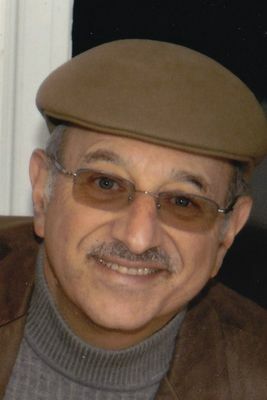 Ron has been a South Hills Bnai Brith bowler for 25 years and is well known in the area in his own right. He comes to the Carnegie Shul occasionally, but remains committed to his small town shul in Monessen, which is admirable. We in Carnegie certainly know what it’s like to keep a small shul going. Our shul supported Ron and his family by supplying siddurim for shiva and our president, Dr. Block led services at the Wilen home near Portman Farms. The simple headline would read Congregation Holds Annual Meeting on May 20th. The usual activities ensued and usual reports provided. The annual election of officers was held. But a little deeper in the story is the fact that we have a new president for the first time in 12 years. You will recall that last year at the annual meeting, I notified the board that my 12th year as president would have to be my last. My duties as a borough councilman have taken away from the time that I can spend managing the shul. And since January 3 this year, my time has become even further constrained as my peers elected me Borough Council President. Fortunately, VP Larry Block offered to step up to the duties of shul president. We are fortunate to have someone who has a long history of dedication to our congregation and is ready to take on more responsibility. It is a big challenge and Larry has my full support and backing. If you will allow me to reminisce just a bit… I actually did not ever expect to become shul president. If you were around during the 90’s you will recall that Stan (our Nusi, may he rest in peace) was prepping me to take his place, which was not president. Our president then was Dr. Zayne Wilk. Zayne came from a family of leaders. Zayne’s father was once shul president, as was his father’s father. I looked up to Zayne, who was not only a doctor, but a fellow Marine and a Vietnam veteran. I expected him to be president for a long time. Additionally, I was working out of town almost every week, and I didn’t view myself being able to take on the role of president. But 1999 didn’t just bring the end of the millennium, it brought significant changes in our shul. In February of ’99 Ike Sax, who led our religious services, was knocked down by a stroke. In the spring, Zayne learned that he was losing his battle with cancer. I was in the middle of changing jobs and would now be based full time in Pittsburgh. I remember vividly a moment in the back of the shul one Saturday morning after services. Most everyone had already headed downstairs for Kiddush, and Zayne stopped me by the doors and said, “I understand that you have a new job and you’re going to be around a lot more”. When I responded in the affirmative, he said, “Good, the shul is going to need you”. He said it without emotion, the way one of my Marine officers would give me a new assignment. I don’t mean to dwell on the Marine Corps piece of the story, but my experiences in the Marine Corps have affected everything I’ve done in my life since I was 17. I can’t really separate out the Marine Corps part of any story from any part of my life. When Zayne spoke to me that morning, for all of 30 seconds, he was my CO giving me my next assignment, and that was that. Ike died in August that year, and Zayne in November. We spent the winter mulling over the situation. Then in April of 2000, a guy named Baumhammers would go on murderous spree killing 5 and wounding several others. He took the time to stop in Carnegie and shoot out our shul windows before he continued on his planned murder route. The next month at the shul annual meeting, I was elected president and Larry took full control of all religious services. It has stayed that way for a full dozen years. So, I guess we were due for a change. Thank God it was not prompted by tragedy this time. I ask that you provide every support to Larry as he takes on these new responsibilities and the additional workload that comes with it. And understand that I’m not going away. I will still be here, helping in whatever way I can, as my time permits. Campus Superstar is a city-wide, family friendly event celebrating the local musical talent of university students in Pittsburgh within an American Idol-like production that is now the largest of its kind in the United States. Now in its sixth year, Campus Superstar takes place at Carnegie Music Hall on April 1, 2012 at 7:00pm. Last year more than 1,800 community members and college students attended to see which one of the ten finalists would win the $5,000 first prize. Each year over 150 students try out for the opportunity to be one of the ten selected finalists. Many of the prior contestants are now featured around the country in musical theater companies as well in shows on Broadway. The all star group of judges includes KDKA’s News Anchor Ken Rice, Double Grammy award winner and Jazz vocalist Etta Cox as well as two former Pittsburghers who are now on Broadway. This year, Iris Ranier Dart, author of the best selling novel and Academy Award winning “Beaches” will be the Distinguished Guest. 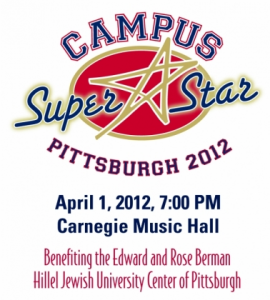 Proceeds of Campus Superstar benefit the Hillel Jewish University Center of Pittsburgh. The Edward and Rose Berman Hillel Jewish University Center (hilleljuc.org) is the umbrella organization for all Jewish campus life in Pittsburgh. Serving approximately 5,000 Jewish University students and young professionals in Pittsburgh, the Hillel JUC acts as a “community of communities,” empowering and mentoring student leaders to enrich the lives of their fellow Jewish students so that they can in turn enrich the Jewish people & the world. The Hillel JUC is at the forefront of many issues on campuses in Pittsburgh from environmentalism to social justice issues like Darfur-awareness and Katrina relief programs. At Pitt and CMU, the Hillel JUC plays a major role in partnership with other student organizations towards fostering programs that engender tolerance and understanding amongst the myriad of student communities on our campuses. Founded in Pittsburgh in 1950, the Hillel JUC moved into its new home at the Joseph Stern Building in the summer of 2001. The Hillel JUC is a beneficiary agency of The Jewish Federation of Greater Pittsburgh and is fully accredited by Hillel International: The Foundation for Campus Jewish Life. Just a quick note to everyone that Rabbi Harvey Brotsky will be visiting the Carnegie Shul this coming Shabbos, January 28, for morning services. 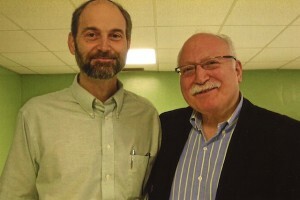 In 2009, Rabbi Brotsky retired from New Light Congregation after 25 years of service. 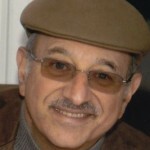 He and his wife continue to live in Squirrel Hill but have taken time to travel. This weekend he will be traveling all the way to Carnegie to spend a Shabbos morning with us! I am fairly certain we will be able to impose upon the rabbi to daven part of the service. As a reminder, preliminary services start at 9:20 and Shachris starts at 9:40. I hope that many of you will be able to join us and welcome Rabbi Brotsky to Carnegie. Following services, we will have our usual Kiddush— bagels, cheese, and fish. This week’s Kiddush is sponsored by Burt Dodick.